Thank you for choosing to schedule surgery with the American Hip Institute. We are excited to be involved in your surgical experience. In preparation for your surgery, we would like to inform you of all the necessary steps to be completed prior to your procedure. Our surgery scheduler will contact you to set a date and location. If you do not hear from her within 2-3 days, please call 630-455-7130. 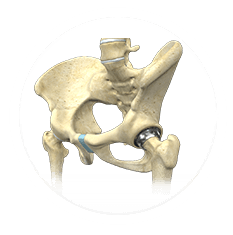 CT scan required for preoperative planning of your Hip Replacement (Makoplasty ONLY), must be within 8 weeks prior to your surgery date. You MUST have ALL tests and preoperative clearance completed within 30 days of your surgery and prior to your preoperative visit.